If you are attending a destination wedding, carrying a steam iron is not a good idea as it would occupy a lot of space in your baggage. Carry this portable garment steamer which uses powerful steaming technique to remove wrinkles and odour from your outfits. Don’t worry! 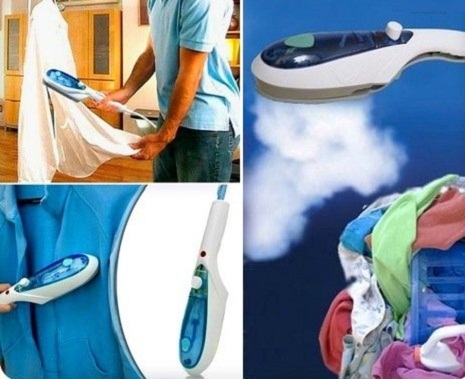 You can use this portable steamer with your expensive outfits as it is safe for all fabrics. Even fashion designers who organize events at outdoor venues can invest in this portable garment steamer as it is way too convenient than spending a fortune on laundry. If you are travelling in an non-air conditioned private/public mode of transport, this rechargeable fan with LED torch is of great use. 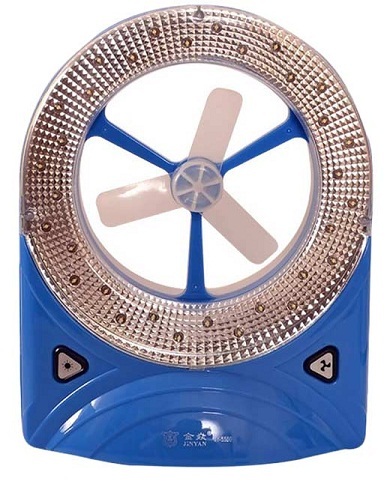 The rechargeable fan ensures optimum circulation of fresh air around you. If you are travelling by a train and the general lights are turned off, you can use the LED torch for reading or simply walking in the dark. When you are travelling, make sure each and every moment is fun-filled. Don’t forget to store your favourite tracks in an MP3 player. 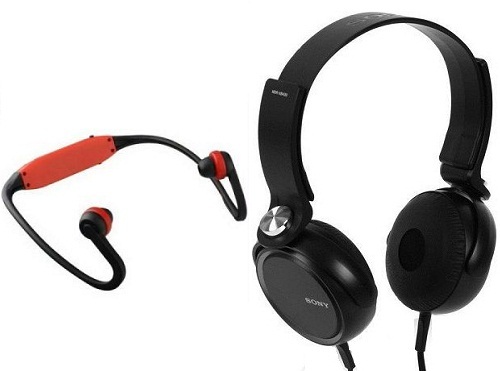 Use these high-quality headphones to enjoy your favourite music. 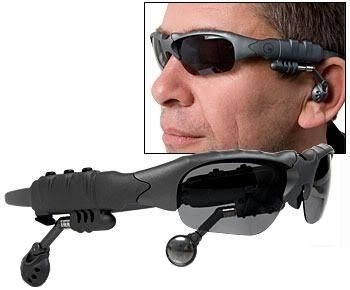 If you are the one who is driving the car, these sunglasses with an integrated MP3 player are an ideal alternative as they block the sun rays and also let you enjoy your favourite music. If you have a unique taste in music which is not liked by all, you can simply wear these sunglasses and create your own music space. Power cuts are common at most hill stations and picnic spots. 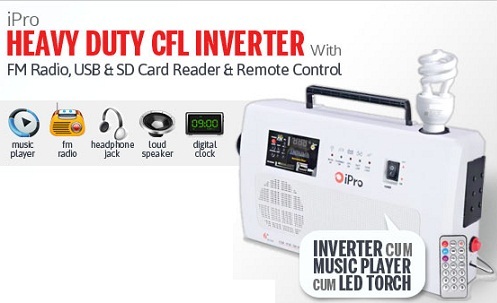 Carry this heavy duty inverter which comes with an integrated FM radio, USB port and memory card slot. It comes with a bulb/CFL holder (Supports bulbs up to 10W). This inverter can be operated by a fully functional remote control. A compact sewing machine is ideal for those last moments when your outfit needs some changes. You got an outfit stitched well in advance for your friend’s wedding. Now that the occasion is just around the corner, you just noticed that the stitch at a particular place has just come off or the button hole is missing. 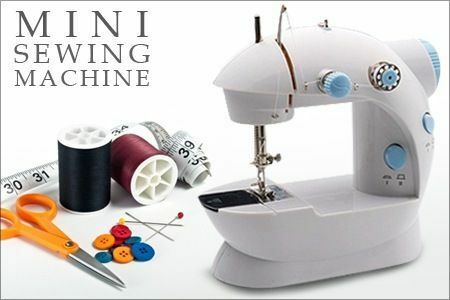 Simply make a quick-fix with the mini sewing machine. Your kid may have a habit of playing games on your smartphone. What if the important stuff like contacts and other files stored on your phone are accidentally deleted by your kid? Avoid all those hassles and go for this PSP console. It comes with 10000 pre-installed games which will keep your kids entertained. This console is perfect for entertainment lovers as it plays MP3/MP4 files. If you love to read a book along with some soothing music in the background, this console is your best bet as it lets you read e-books as well. In short, this console is a must have for the entire family.